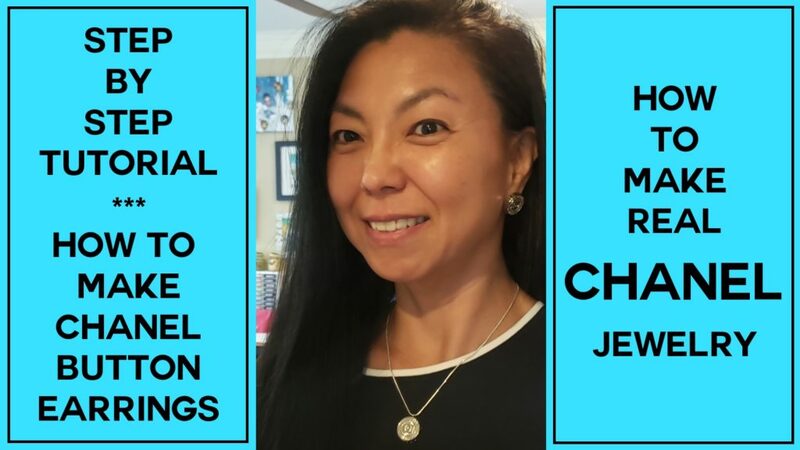 I have been admiring Chanel jewelry for a while now, but the prices of Chanel costume jewelry (yes, they are NOT real pearls, diamonds, etc.) is astronomical (IMHO). 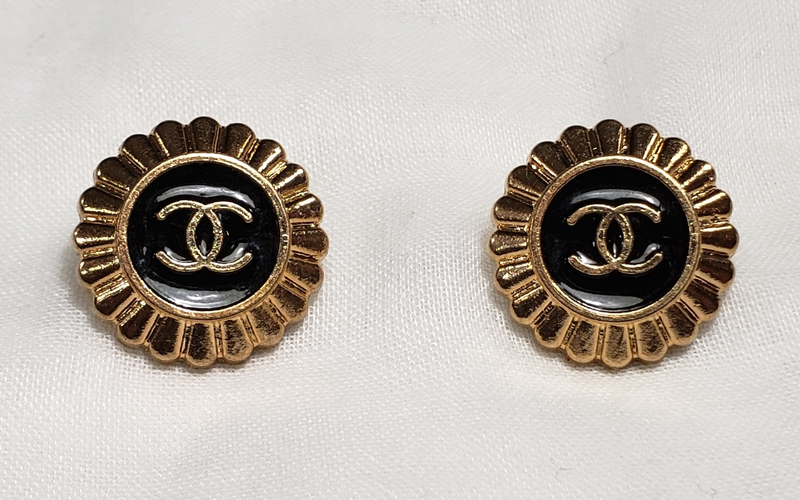 So when I happened upon some authentic Chanel buttons on eBay for around $25 per pair, I knew that I wanted to try crafting some authentic Chanel earrings with them! First I bought 2 black and gold sets of vintage buttons and a pair of silver bottle cap style buttons. I used wire cutters to cut off the shanks from the back of the buttons (please use gloves and protective eye wear in case small metal pieces fly), and where I couldn’t get low enough on the shank (the gold button shanks were very thick), I ground them down with a metal file. Next I used some EnviroTex Jewelry Clay, completely mixing equal small amounts of A clay with B clay. Then I carefully inset the clay into the wells on the backs of the buttons. If your buttons are flat, you could skip this step completely, but mine had deep wells so I had to level the backs to the edges of the buttons. Have patience at this point: to fully cure, you need to leave this jewelry clay for 24 hours. 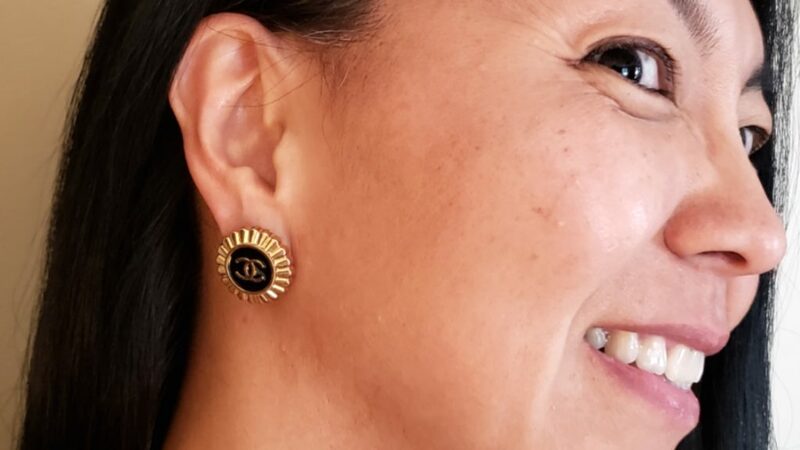 What I should have done next is paint the clay on the earring backs, but I jumped to attaching the Jewelry Shoppe 18K gold (nickel free) 8mm earring posts with E6000 glue. When that had fully dried after a couple of hours, I painted 2 coats of Artist’s Loft metallic acrylic paint — gold for the gold earrings and a mix of silver and white for the silver earrings. 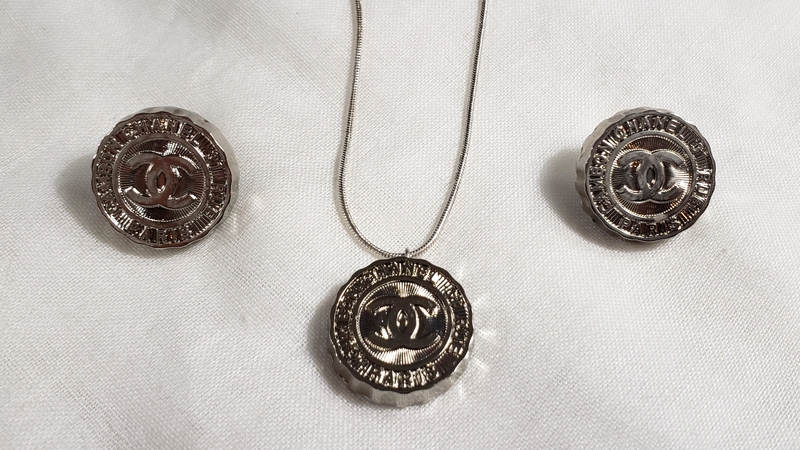 One of the eBay sellers actually sent me a bonus button so I also made a pendant necklace with that extra! 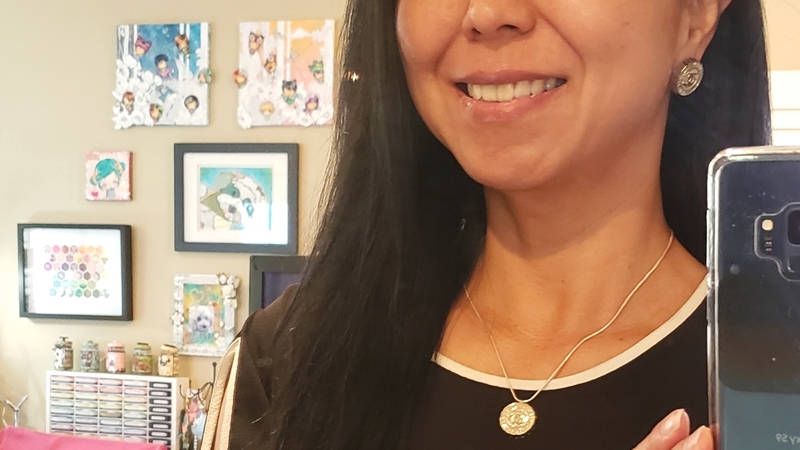 To create this necklace pendant, I used flat and round pliers to create a eye loop pin from silver wire. Then, before the jewelry clay could fully dry, I inserted this eye loop pin into the soft clay, making sure it was centered at the top of the button design (the silver bottle cap designed buttons had a top and bottom). Again, after this clay fully cured, I painted the back with Artist’s Loft metallic silver and white acrylic paint and put a thin silver chain through the eye loop. Awww thanks so much Jackie! What a lovely project – I enjoyed seeing such a unique entry! Thank you for sharing these with us at the Simon Says Stamp Wednesday challenge! Awww thanks so much Lin!